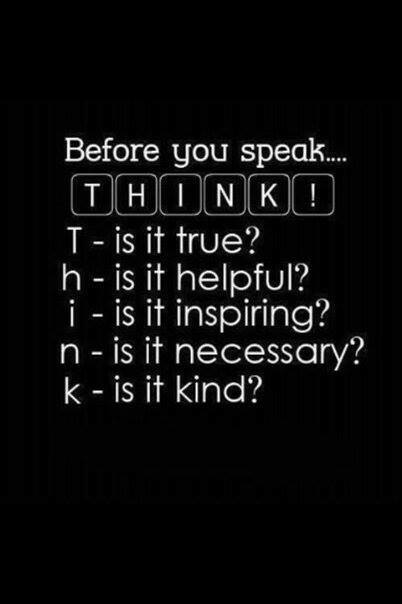 Before you speak… THINK! Is it true? Is is helpful? Is it inspiring? Is it necessary? Is it kind?